Double Standards - Do advertisers know how to reach young men? Young men want intelligent and relevant content that's delivered in a non-patronising way across a range of devices, two men's magazine publishers suggest. - How have the media consumption patterns of young men changed over the past five years? Perhaps the most significant change in recent years has been the number of screens on which our audience now consume media. Today, habits change quickly - it took years for the laptop to replace spreading the Sunday papers over the coffee table, but the average AskMen reader can now be found reading their iPad all over the place, from the sofa to the bog to the bedroom. Sunday was traditionally AskMen's quietest day, but now it's our busiest. We reached the tipping point in January, when more than 30 per cent of our audience came from tablet and mobile users, up from 11 per cent and 17 per cent over the previous two years. The vast growth in media options for young men has gone hand-in-hand with the decline of print readership. Speaking as someone who (just) scrapes into the "young" category, there's a strong feeling that paying is no longer necessary, especially when such quality, free content is available. It isn't just free content that young men value - they also appreciate intelligent, insightful content. Everything we publish on AskMen satisfies these points across audio, video and the written word. The articles that attract the highest traffic are always the ones that add the most value to our readers' lives. - A fifth of young men say they have a desire to check social networking sites on their mobile phone before they get out of bed in the morning. Is there a real opportunity here for advertisers? Absolutely. The personal information that social media offers allows advertisers to create entertaining, informative and useful content for users on an individual basis. However, hitting the "like" or "retweet" button doesn't necessarily guarantee the consumer will also talk about it with his friends. Social media is a great way of generating word of mouth, but advertisers need to be wary that content has to be "talkable" as well as "likeable". - What is the biggest misconception that advertisers have when it comes to targeting young men in 2012? Perhaps the biggest misconception is that the men's lifestyle market is dying. AskMen's growing audience of more than one million readers a month suggest there is very much a place for digital lifestyle sites, and the success of free magazines suggests there is still life in print for this sector too. - What is the biggest challenge facing media owners that cater for young men? The biggest challenge is standing out against the extreme noise in this sector. There's a huge amount of options available, so creating what young men want, before they even realise they want it, can be the key to success. Staying ahead of the mainstream requires considerable investment, but with young men often driving sales of new technology and first to take up digital services, it means we have to constantly research our audience. Brands that have got this wrong have typically failed. The digital revolution has utterly changed young men's media consumption habits - they still seek intelligent and interesting content, but they no longer expect to pay to access it, online or on paper. Many of the legendary men's brands of the 90s have been wiped out by the wave of change. 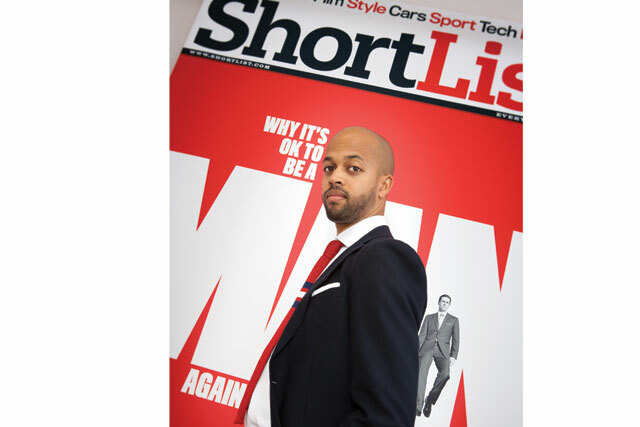 When we launched ShortList five years ago, our objective was to capitalise on this emerging consumer trend. Our rules of engagement are simple: create a unique, quality product the audience desire, establish an effective distribution channel and then offer the product for free. It's a modern strategy for a traditional medium and it has created one of the largest and most-powerful men's lifestyle brands in the UK. Young men want magazines that offer relevant, smart and unique content delivered in a non-patronising tone that reflects their passions and that reflects well on them. They are pressed for time and have many choices, so magazines like ShortList must earn their attention with a mix of short, inhalable articles that can be read on the go balanced with longer, more useful journalism that means they will keep hold of the magazine through the week. Mobile consumption will be a defining factor shaping media for the next few years. Twenty per cent of shortlist.com's one million monthly uniques already access the site via their smartphones and we forecast that to continue. We're already working with a number of commercial partners on how best to maximise their messages on our mobile platforms. Social media itself is a hugely useful tool - our strategy is to use it to engage with communities of interest, to showcase our content, to amplify commercial partnerships and even to co-create compelling content with our target audience. That they can't be reached or don't want to be advertised to. If the communication is executed well, advertising to young men can be extremely effective. It really is about relevance and brands engaging young men with appropriate communication via media channels that they feel are specifically aimed at them. The basic truths behind what makes advertising really effective remain the same: it's the proliferation of media choice that has increased the need to be focused in terms of media selection and campaign execution. There's no room for complacency for any media owners in the men's market. Young men today are brand-savvy and they have sufficient media choice that they demand the best from you every time. This audience simply won't give their valuable time and engagement to low-calibre content or vague brand propositions. They seek out high-quality, high-value media brands, and if you can evolve an alchemy that combines these two elements, then they will find you.